Hand-held, light-weight, wireless tactile probe with easy-hold grip stylus allows for inspection of intricate features & cavities for large, complex parts. 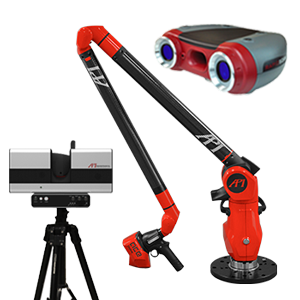 The vProbe can perform extended coordinate measurement functions outside the line of site of a laser tracker. 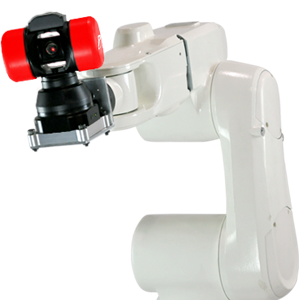 The vProbe provides instantaneous feedback when a coordinate is measured. This allows for quick and convenient measuring and inspection. 3DU, SLU, and RU are further specified as a function of the distance between the laser tracker and the measured surface. *These values represent the Maximum Permissible Error(MPE) between a verified Scale Bar and the expected performance of the instrument. *Longer Stylus lengths available - accuracy dependent on length. **Nominal Values are established by the Laser Tracker. vProbe uses wireless technology and integrated battery allowing portable measurement for up to 6 hours on a single charge. 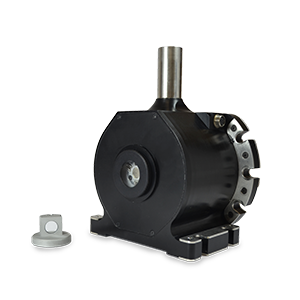 The vProbe boasts a large operating volume up to a 40 meter radius with minimal performance degradation. 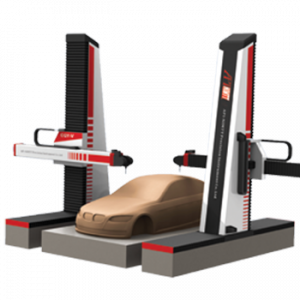 vProbe’s dynamic scanning capability provides instant coordinate feedback, allowing the operator to take measurements faster than competing systems. The vProbe has a lightweight design and fits with the tracker in a single carrying case with. vProbe can be operated for longer periods of time with its lightweight design and easy-hold grip. Variety of styli are available - lengths 50mm to 500mm and multiple tip diameters. Dual stylus locations, easy indicator lights, and a stylus toggle switch makes measurements with the vProbe quick and convenient.